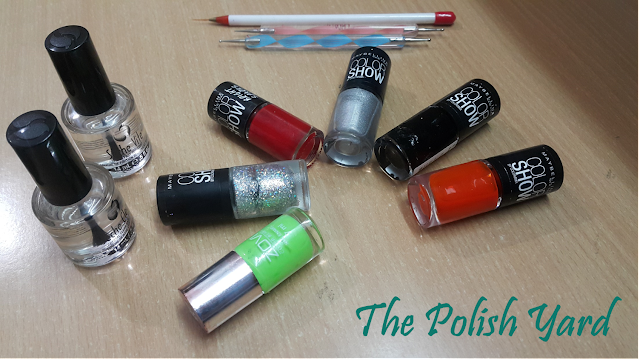 It has been established that my forte does not cover nail art and hence I bring in the expert on this. 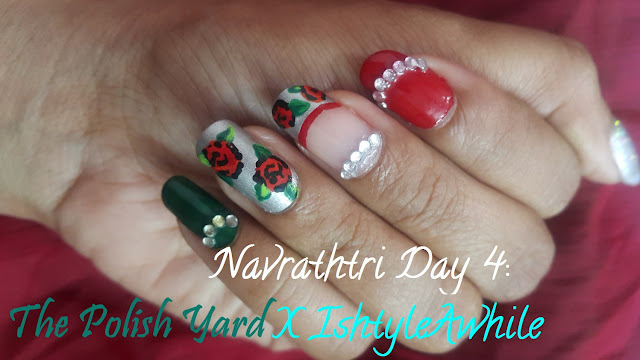 You have already met The Polish Yard here on the blog, and she is back with some stunning nail art perfect for the wedding season. 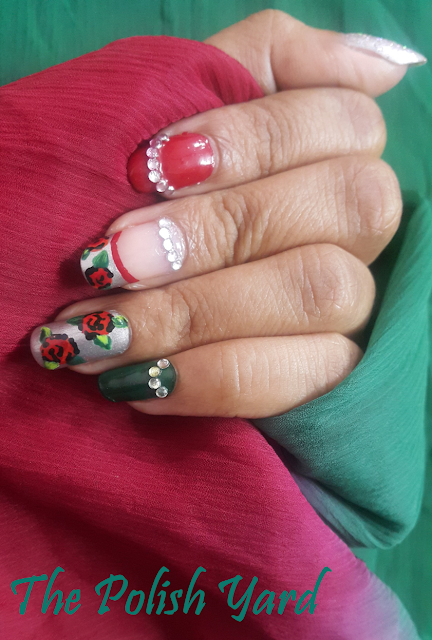 This time she had done a nail art to match a sari. 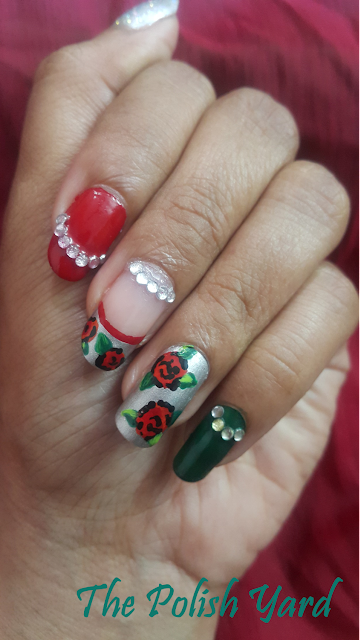 So this rose nail art was mostly made out of Maybelline nail polishes along with Seche Vite base and top coat to give the design a long lasting finish. 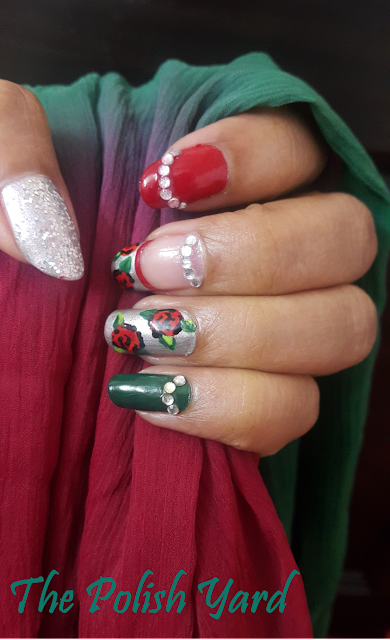 Apart from that, to paint the intricate details on the accent french tip on the middle finger and the roses on the ring finger, I used dotting tools and a thin striping brush. And of course to add some bling, I decorated my index and little finger with silver rhine stones. To compliment the overall silver color of the body of the sari, I used a silver glitter polish for the thumb. 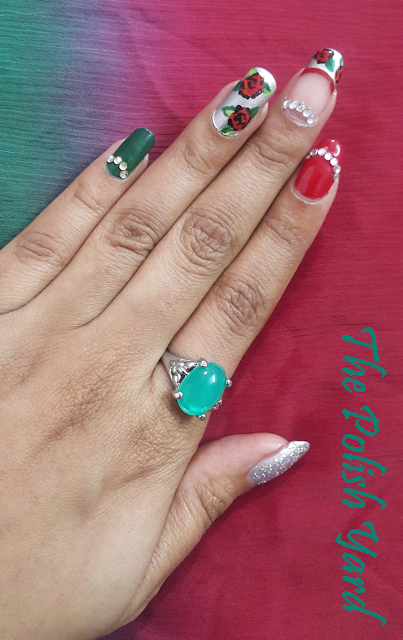 So do you think these nails are close enough to match the sari? 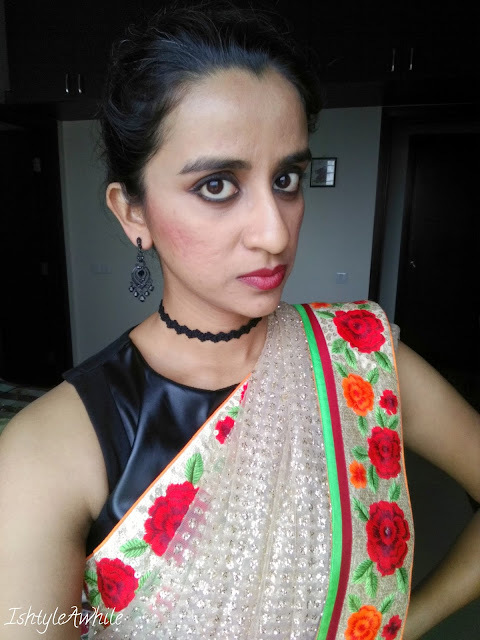 I am sure you must have figured out which sari this nail art was done to match and in case you didn't make the connect, well here is the picture of the sari. 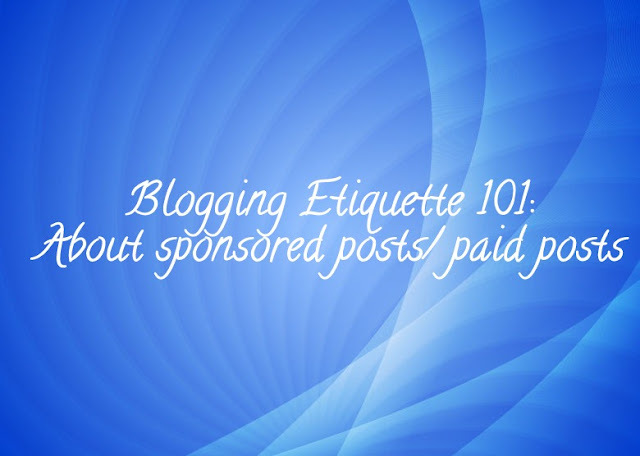 Click here to see the complete post from yesterday. 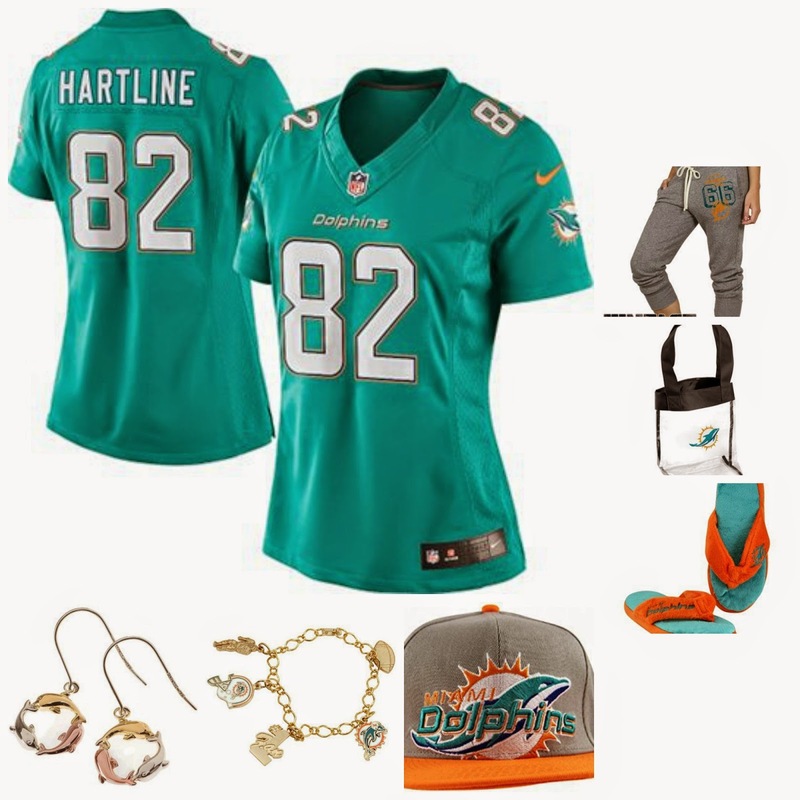 What I would wear if I went for a football match.